Aviation Updates Philippines - Philippine Airlines flights between Manila and Caticlan will operate four times weekly until May 15. From May 16 until October 26, PAL's Manila - Caticlan service will be temporarily suspended but will resume when Boracay island re-opens on October 27. BORACAY CLOSURE. The suspension of flights to Caticlan is brought by the shutdown of Boracay in an effort to rehabilitate the island. Normal operations will resume on October 27. Photo by Dirk Salcedo - PPSG/AUP. Daily flights between Manila and Kalibo will continue to operate during the Boracay closure period in order to serve the travel needs of KLO residents and visitors as well as the government rehabilitation team. The adjusted flight frequency is in support of the government's decision to temporarily close or limit access to Boracay for urgent major environmental rehabilitation of the island. The airline has expanded flights to a number of other Philippine tourist and provincial destinations to help ensure the continued growth of domestic tourism. 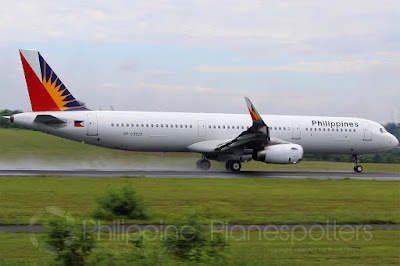 PAL has deployed additional flights on routes between Manila and Cebu, Iloilo, Puerto Princesa and Bacolod, PAL has increased flights between Cebu and Busuanga (Coron), Cebu and Siargao as well as between Clark and Busuanga. PAL also added flights between Cebu and Clark. Starting May 1, PAL increased flights between Manila and Dumaguete as well as Manila and Cagayan de Oro. "As we re-direct our passenger market flows to these other key PAL destinations, PAL anticipates that the additional flights will help increase demand and spur economic activity for the benefit of the travel and tourism communities in various regions of the country." Passengers of the affected Kalibo and Caticlan flights have the option to rebook / reroute / refund with penalties waived. Rerouting options cover both domestic and international routes. Passengers may contact PAL Hotline ((+632) (02) 855 – 8888, log on to www.philippineairlines.com or visit the nearest PAL ticketing office or partner travel agent for the rebooking/ rerouting/ refunding of their tickets.